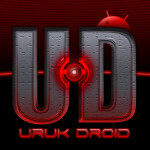 This new feature let you start and stop services on your UrukDroid 0.4.1 system. Supported services are: dvb, iptables, ntfs, samba, sshd and swap. We may offer more configuration options (for swap parameters for instance) if there is demand on that, please let us know by commenting on this post. Please contact me on XDA or email for details. I’ve just added to 0.5 release options for services to check it’s status (http://forum.xda-developers.com/showpost.php?p=10725832&postcount=121). There is also new serwis “compcache” – everything on XDA will be (or already is) explained.